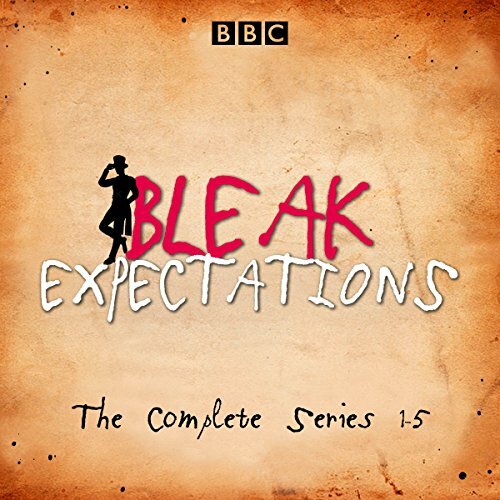 The complete collected series 1-5 of the gloriously daft Victorian romp Bleak Expectations. Gasp at the evil Mr Gently Benevolent, played by Mr Anthony Head! Weep at the trials of our young hero, Pip Bin, played by Master Tom Allen! Be moved to joy and sorrow by the remarkable narration of Mr Richard Johnson! Swoon at the fragile beauty of Pip's poor mama, played by Miss Celia Imrie! Wonder at the thespian prowess of Mr Geoffrey Whitehead as six different siblings! Follow the remarkable adventures of young Pip Bin as he struggles to rescue himself and his sisters from the schemes of his evil and badly named guardian, Mr Gently Benevolent, and the blood-curdling Hardthrasher family. Immerse yourself in a timeless epic featuring terrifying schools, even worse prisons, opium dens, disguises, court cases, shipwrecks, underwater squirrels and swashbuckling long-lost aunts. 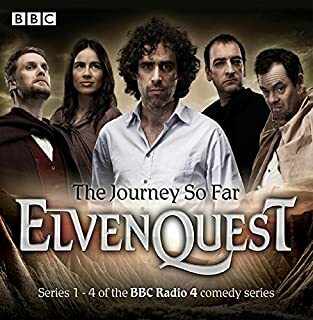 Revel in the many fine quips, characters and scenarios written by Mr Mark Evans and produced by Mr Gareth Edwards, previously renowned for their craftsmanship on the works of Messrs Mitchell and Webb. Series 1: Televised as 'The Bleak Old Shop of Stuff' on the BBC. Episodes: A Childhood Cruelly Kippered, An Adolescence Utterly Trashed, A Youth Utterly Crocked, A Young Adult Bitterly Dismantled, A Young Love Mercilessly Dismembered, A Life Sadly Smashed Then Happily Restored a Bit. Series 2: A Happy Life Cruelly Re-Kippered, A Re-Kippered Life Smashed Some More, A Recovery Made Miserable, A Restoration Re-Ruined Only Even Worse, An Already Bad Life Made Worse but Sort of on Purpose, A Happy Life Broken and Then Mended a Bit. Series 3: A Lovely Life Re-Kippered Again Once More, A Now Grim Life yet More Grimmified, A Sort of Fine Life De-Niced Completely, A Horrible Life Un-Ruined and Then Re-Ruined Again, An Evil Life Sort of Explained, Lives Lost, Ruined Wrecked and Redeemed. Series 4: A Tolerable Life De-Happified, A New-Spoiled Life Smashed Some More, A Wretched Life Made Much, Much Sadder, A Painful Life Re-Miserablised, A Now Tricky Life Woefully Miseried Up, A Life Destroyed then Repaired and Re-Happied. Series 5: A Pleasant Yet Dull Life Re-Evilled, A Re-Excited Life Made Distinctly Dangerous, An Alrightish Life Savagely Frozen to Bits, A Writerly Life Made Dreadfully Different, A Terrifying Life Made Even Scarier a Bit Some More, A Loved-Up Life Potentially Totally Annihilated. 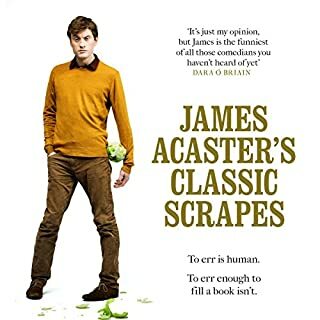 Please note that the cover image has been corrected; Series 5 is included in this collection. I have listened to this again and again since I first heard the show years ago. if you're not dead then you'll enjoy this immensely. you may enjoy it as well if you're dead, I can't really say. I am a fan of Charles Dickens and this parody/satire seemed right up my alley. And it was! This is so different from the "typical" British comedy which is funny but not laugh out loud funny. Bleak Expectations is laugh out loud funny. Some of the jokes are incredibly witty and clever...and some of them are just the most obvious puns. But honestly, I didn't even care because 1) I love puns and 2) it had earned my delight long before that. The story just gets more and more ridiculous as it goes on (there is an alien invasion at one point) and somewhat repetitive since it's pretty much always the same bad guy who just doesn't seem to be able to stay dead. But again, honestly I didn't care because I just enjoyed the ride. The performances were really great; I've loved Anthony Head since Buffy the Vampire Slayer and he is just phenomenal at voice acting here. Some small technical notations: I was frustrated that each episode of the series is not a separate chapter so it would be really difficult to jump to a specific episode. The last series seems to be grouped into episodes as chapters but the others are not. Not sure if this is something Audible could fix, but listeners should be aware. Also, there is a technical issue with chapter 216: there is about 30 minutes of dead air after the episode ends. It doesn't appear that any episodes are missing; there's just a few minutes you have to fast forward through to get to the next episode. Overall, very highly recommended if you have any affection for Charles Dickens or ridiculous comedies. This series was a bright spot during a difficult time and I will absolutely listen to it over and over again. 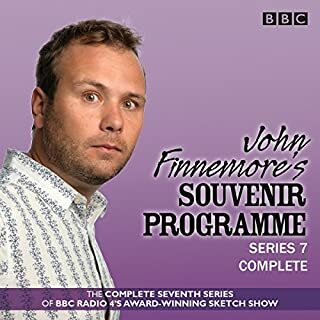 I will keep trying out other British BBC comedy series since some of them really are funny, but there must be some cultural divide where the wacky stuff doesn't translate. Most of this book, to be honest, I slept through. But I tried before and after sleeping through the middle of it to listen to the story and jokes - because I really wanted to hear some comedy. But this book didn't work for me and I can't finish it. 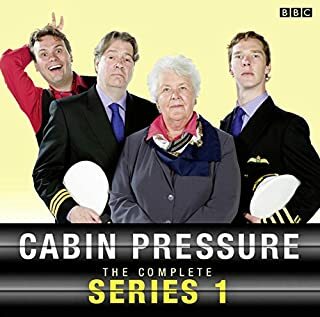 I had to go reload Cabin Pressure and John Finnemore's Double Acts onto my iPod to get some good laughs. Exellent but spoilt by the bizarre chapter length. What were they thinking in using chapter lengths of such short length??? Some chapters are less than 1 minute long while others stretch to a more normal 20+ minutes - the sheer amount of miniature chapters though results in a "blip" in playback , rather like an old record skipping. Really annoying , REALLY ANNOYING! Please fix it so we can download again and enjoy it properly. An Absolute Joy....so clever, so funny! What did you like most about Bleak Expectations? From the first episode this radio series sparkles with with both with and broader too. The writing is very clever - the writer is clearly very fond of Dickens but paraodies his stories beautifully, gently mocking the Victorian values, the caricature characters and the fascinations of Britain's educated middle-class readers at the time.I loved the clear Goon Show references and all of the gentle references to contemporary pop culture - Darth Vader, Close Encounters of the Third Kind etc. And what acting...! Wonderful energetic performances throughout - all of the actors clearly loving the show and the script.Fabulous value too - would have forked our twice the price for such funny and original entertainment. The Elder Pip Bin - the pomposity and self-importance are so funny. The moment when a character encounters alien life and reproduces the Theme to 'Close Encounters of the Third kind' will stay with me forever - sublime! After listening to the first few episodes I didn’t understand the raving positive reviews, but persevere to series 2 and you’ll be rewarded. 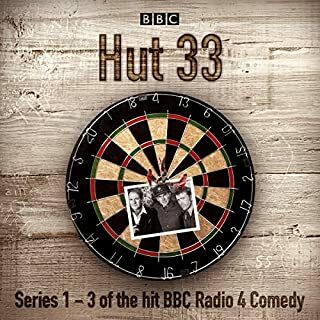 It’s recorded in front of a live audience and I found, in series 1, there were many people with loud laughs + some people who laughed at anything. Their sound level is just too high and started to annoy. Thankfully series 2 onwards it’s fine, and that is the same with the writing, it improves a lot. To really appreciate it you need to enjoy silly; some characters remain, but are undead. People turn into dinosaurs. An authentic period drama it is not. The audio is split into 217 chapters, some are an episode in length, but most are only a few minutes long. This is frustrating as you can’t use ‘sleep timer’ + ‘End of chapter’. 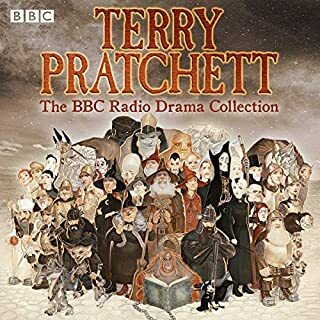 Please Audible and BBC can we please have 1 chapter per episode, as can’t understand the logic why you would split chapters into 1-2 minutes chunks. Also in Chapter 216 there is a 28 minute gap of nothingness, pure silence. What’s that all about? Ignore the formatting, that’s not the fault of the programme (Bleak Expectations), it’s a grower and a bargain for all five series @ 1 credit. Would have given it 5 stars all round if it weren't for the absurd amount of chapters (200+). Ideally it'd be split in to episodes. This has been my favourite radio series for some time and I'm so glad to have them all in one place! The finest work that Darles Chickens never wrote. Absolute corker, bang tidy. Do not hesitate for one moment to get this. it certainly takes your mind off your troubles. you'll keep dipping in again and again. But with it's own surreal logic. Love all 5 series but glad it didn't carry on and go stale.